Do not strike or jolt the inflatable restraint side impact sensor (SIS). Before applying power to the SIS make sure that it is securely fastened. Failure to observe the correct installation procedures could cause SIR deployment, personal injury, or unnecessary SIR system repairs. Loosen the fastener and slide the sensor out of key hole slot. 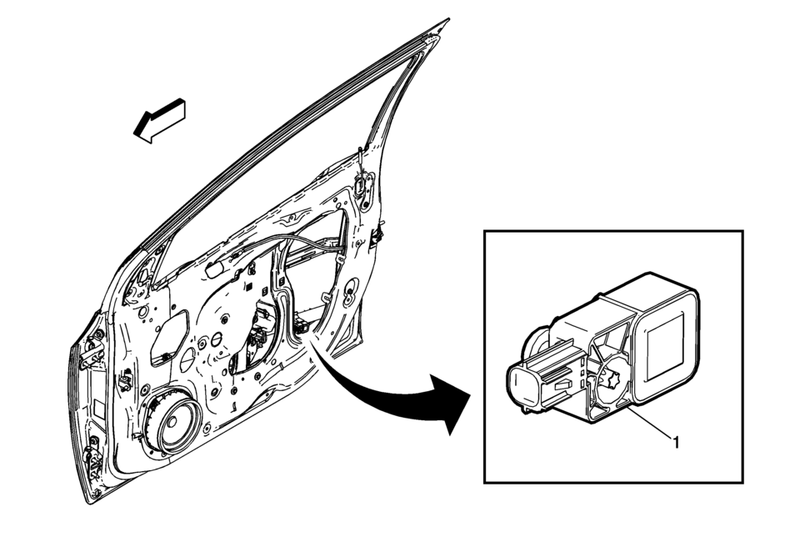 The bolt is integral to the sensor assembly, DO NOT remove separately.